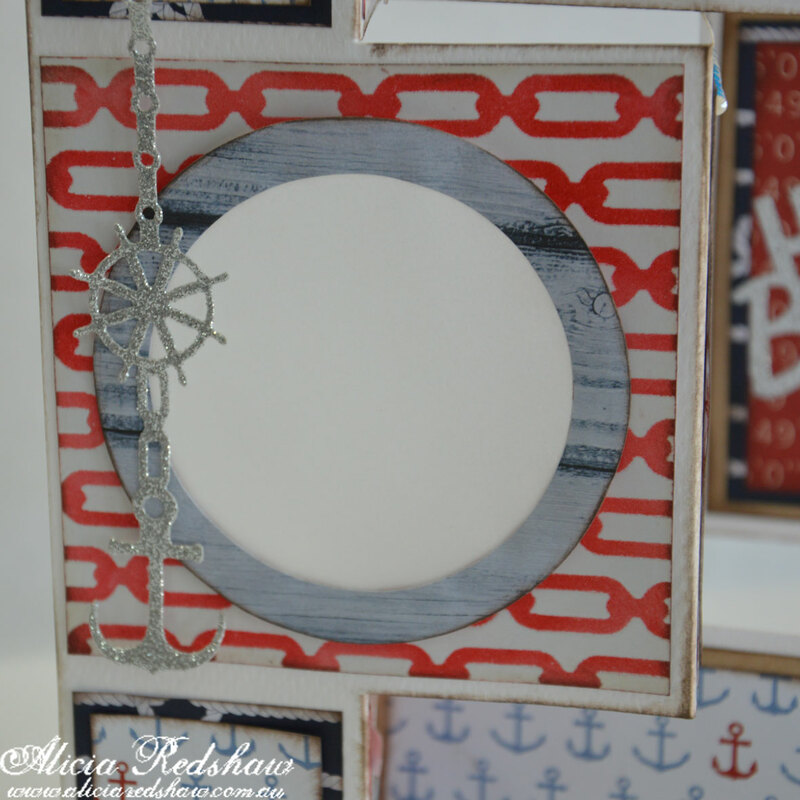 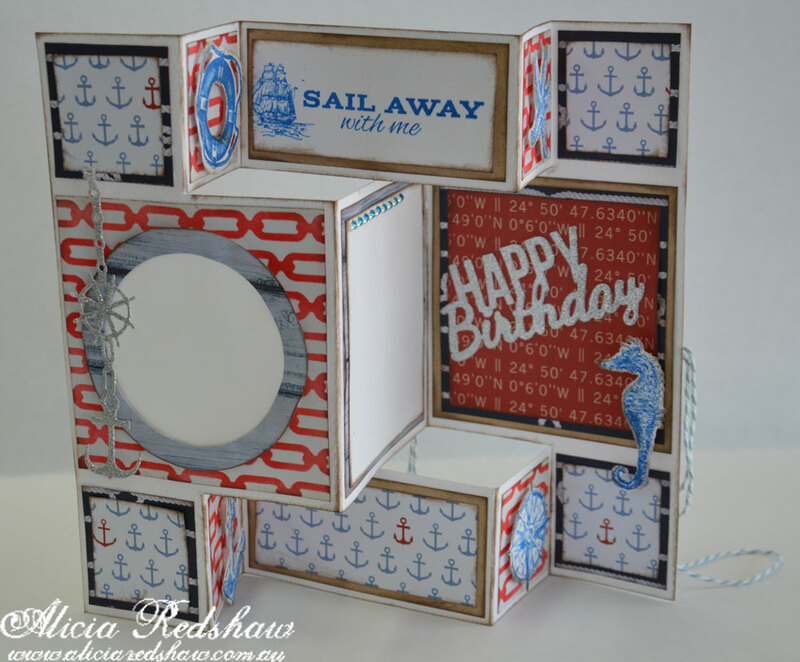 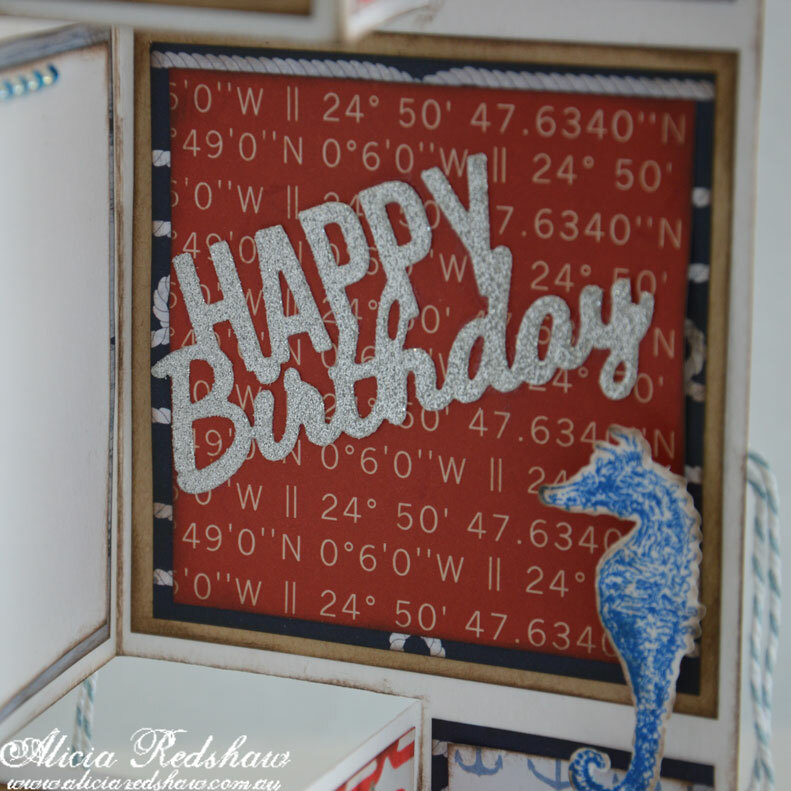 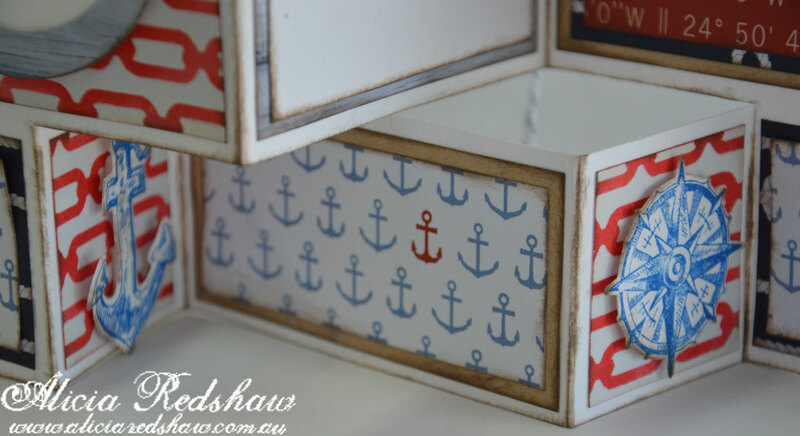 I am teaching the Cardmaking Class at my store (Scrapbook Fantasies) this week (Tuesday 8 December @ 10am), creating a nautical card that any man would appreciate. 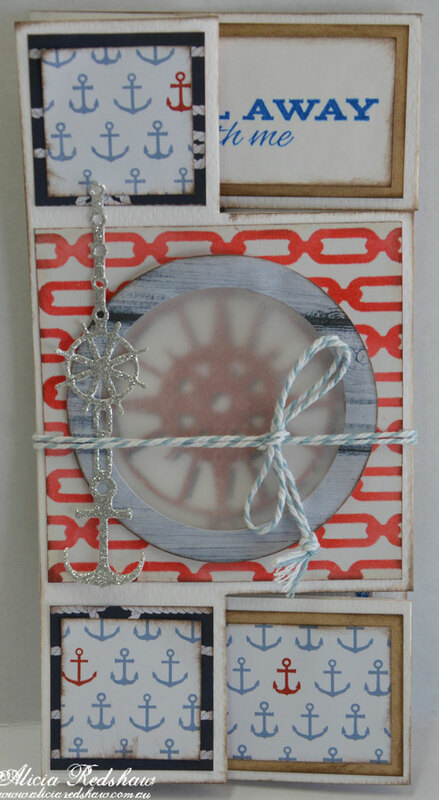 The class is only $17, which includes a kit and use of my tools and mixed media supplies. 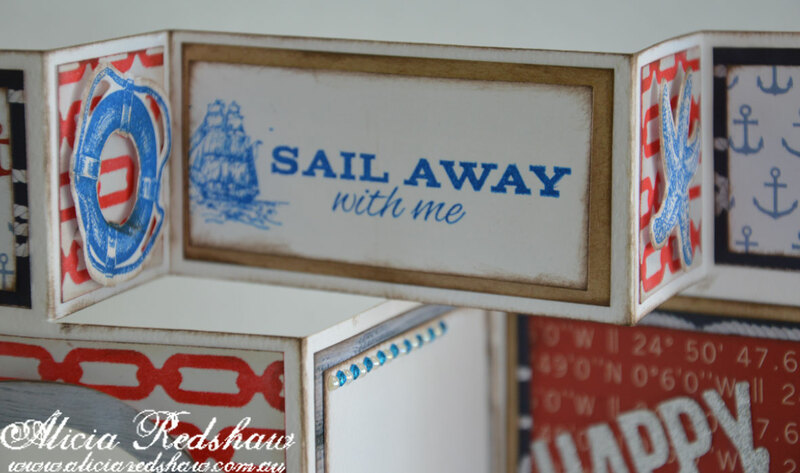 I do ask that you bring along basic tools and adhesives, and if you have a brown/pinecone edging ink and score-pal please bring those also.